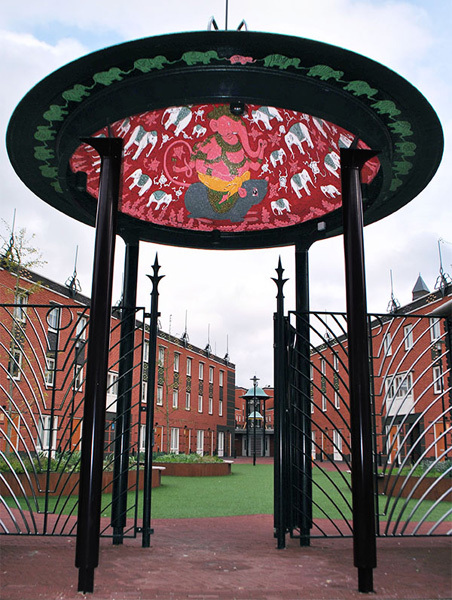 In the courtyard of the apartment complex ‘The Orient’ in The Hague Pepijn van den Nieuwendijk painted three domes. 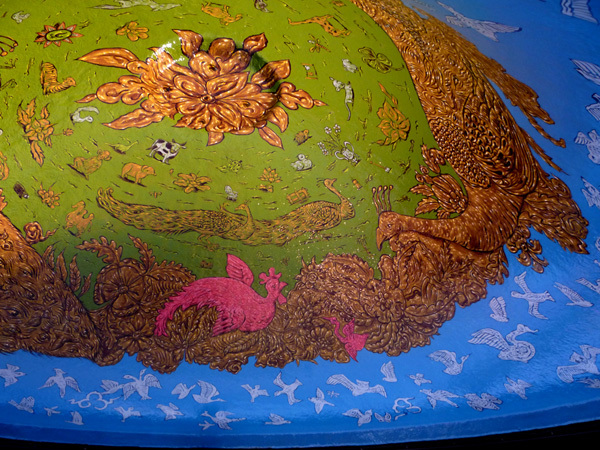 Painting workshops were organized for current and future residents, in which the base for the designs for the ceiling paintings of Ganesha’s Gate is formed. 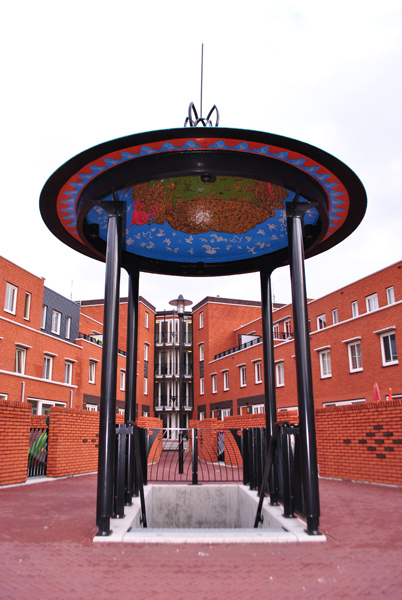 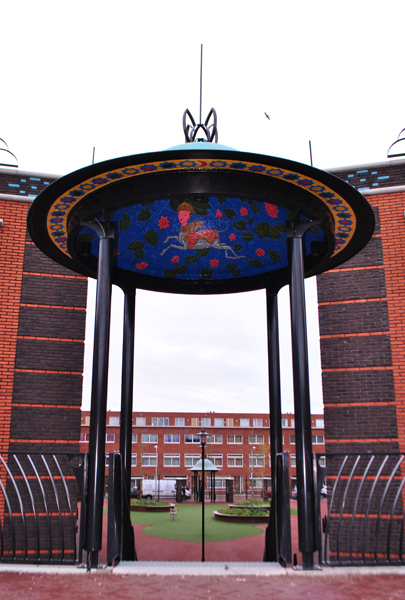 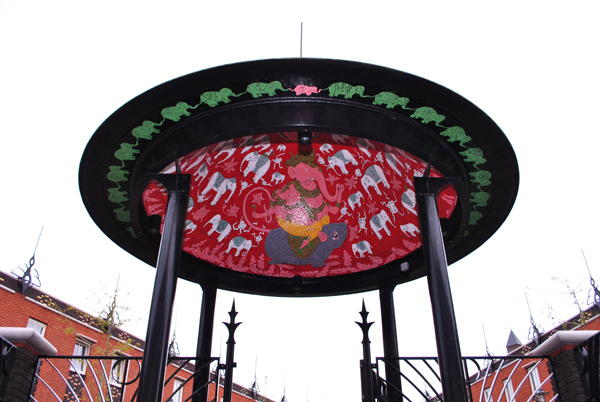 Artist Pepijn van den Nieuwendijk has developed, created and selected different designs for the domes with residents. 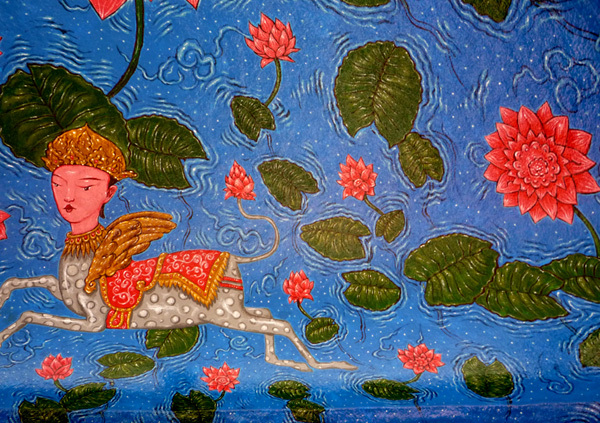 Master Pepin applied the paintings with a fine paintbrush and colored it with his skilful hands, and with a capable painter’s assistant at his side.